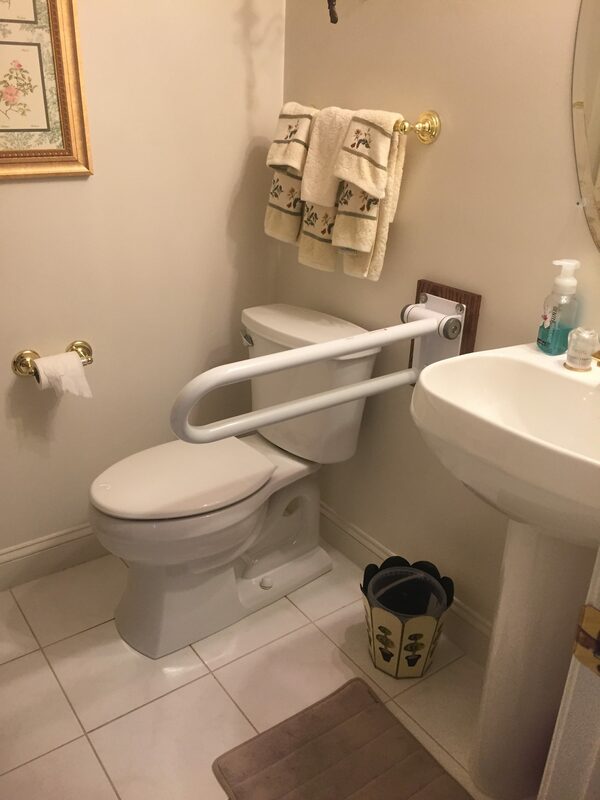 Careful consideration should be given before any assistive changes are made to a bathroom, especially to avoid accidents or falls. Live In Place pays close attention to the unique physical and neurological condition of your loved one, and we make recommendations based on their unique circumstance. 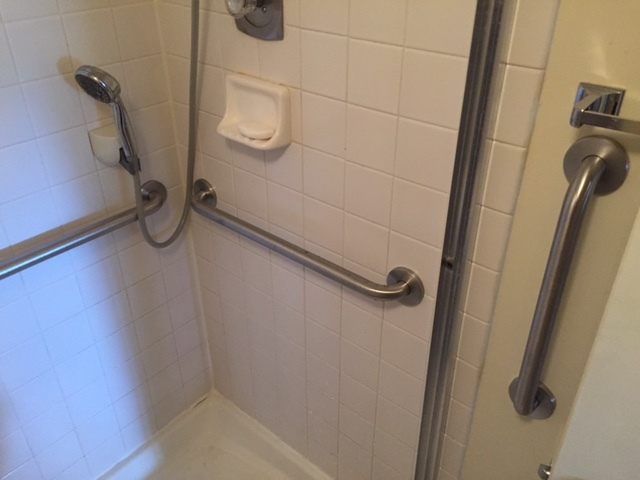 Virtually all bathrooms present a level of challenge for use with canes, walkers, and wheelchairs. Showers and tubs can pose extreme safety risks. While full-fledged remodeling may be desired and affordable in many instances, simple solutions can oftentimes work very well. Live In Place specializes in demonstrating practical, affordable options. 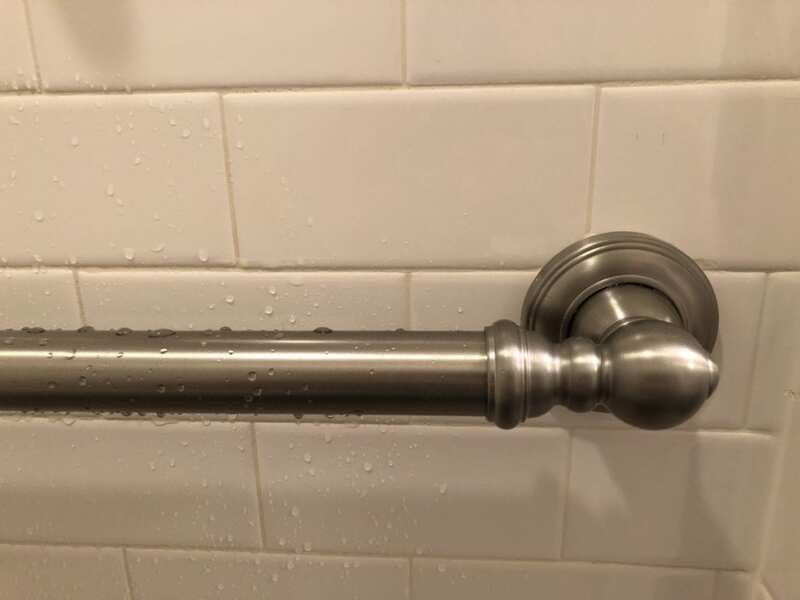 Our team at Live In Place fully explains the proper use of body mechanics for movement within the bathroom, as well as how to get in and out of the bathroom safely. Our recommendations promote joint safety. Many families do not realize that the incorrect placement of durable medical equipment will develop and aggravate joint issues causing pain, discomfort, and weakness. Many products sold are hazardous! The correct products increase safety without creating additional obstacles or adding risk of falling off the toilet. Help in choosing the right modification provides for comfort and the ability to be independent. The correct choices and TRAINING provided by Live In Place make all the difference for safety and comfort! Our team at Live In Place understands that many people still wish to bathe and soak. Many soak tub options are available. 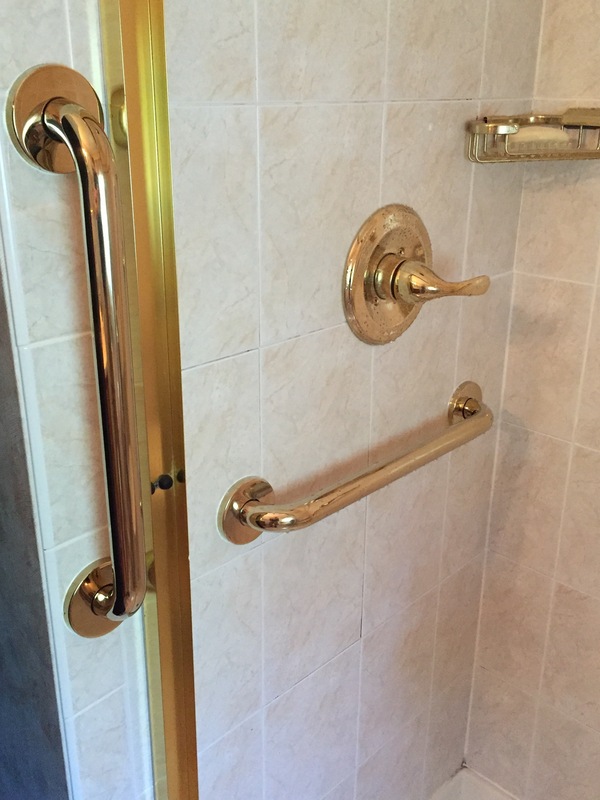 We install tub lifts – a helpful solution for some clients. Live In Place will discuss with you practical and safe options based on your loved one’s ability and mobility. These can be set up on one visit, bringing immediate safety and comfort. Live In Place professionals work with clients and their families on practical wheelchair mobility options while providing training. Yes, most doors can be widened. 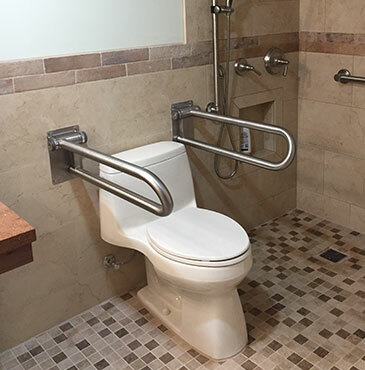 This is necessary if a patient is wheelchair-only and needs to be able to enter a bathroom for showering. When remodeling is necessary or desired, the proper design is necessary for functional use and to still be cost-effective. DO NOT accept a contractor’s recommendation who says “Yeah, I do ADA.” (ADA stands for Americans with Disability Act specifications.) That will get you a cookie-cutter design that will miss specific current and future needs of your family member. These factors are unique to your loved one. Their current physical condition and abilities, disease progression, and therapeutic needs all should be taken into account prior to any bathroom remodeling. Live In Place provides designs that are practical and functional, and prevent costly mistakes – all with an understanding of cost and timelines of your loved one and the family’s desired results. Contact Live In Place today at (703) 433-0380 or request a consultation, and we’ll discuss your needs for a bathroom that your loved one feels comfortable using every day.